Chicago police investigate after a man was shot to death in the first block of East 75th Street. 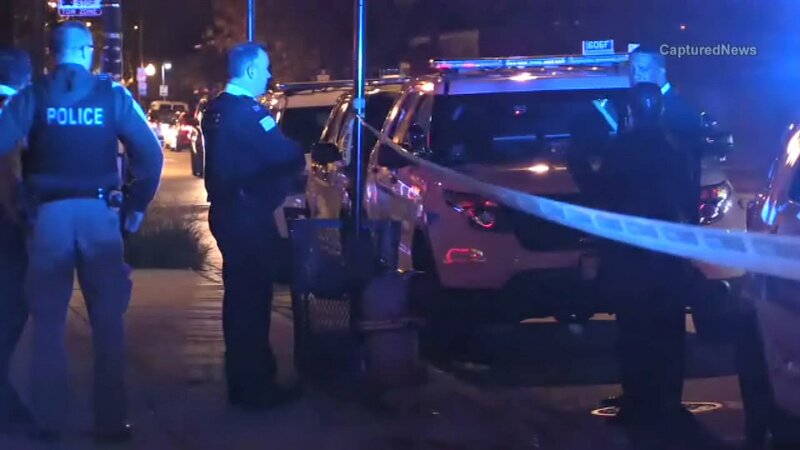 CHICAGO (WLS) -- An 18-year-old Chicago man died after being shot in the throat on the South Side Friday night, police said. The shooting occurred in the first block of East 75th Street. Witnesses told police that the victim ran into a store and collapsed after being shot. The man died at the scene, police said. The victim was identified to the Cook County Medical Examiner's Office as 18-year-old Deon Virges.